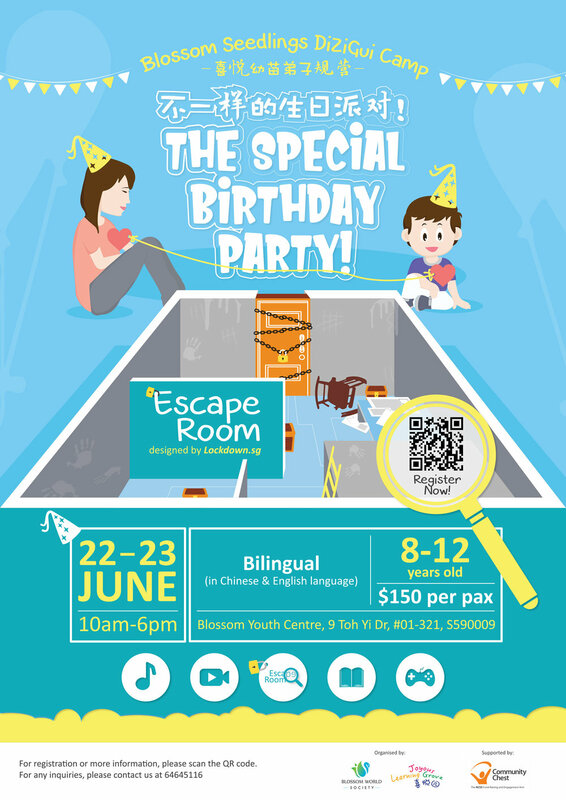 Objective : To promote parent-child communication and family harmony via a fun and exciting birthday party! The Power of Love and Respect is Magical! Children will learn and explore through fun & exciting games and activities. Parents will participate on the 2nd day of camp to make this special birthday party memorable. As a child, do you know how much your parents love you? Do you wish that your parents would listen more to you? As parents, do you feel disappointed when you expressed your love to your children and it is not reciprocated? Do you wish your children will share more of their thoughts and feelings with you? Do you feel that the sibling relationships among your children are not so close? What are the standards for being a good child? How should parents nurture their children so that the family lives in harmony, with mutual respect, and love towards one another? In this 2-day camp with a parent workshop, participants will learn the first 2 chapters of The Standards for Being A Good Student and Child (or called The Guidelines for Being A Good Person, or Guide to A Happy Life) written by the ancient sages. Understand participants and help them to "de-stress"
Children will celebrate their “birthday” on the second day of the camp. They are to organize their birthday party themselves. They need to go through 6 stations to find out (experience) the message The Power of Love and Respect is Magical.